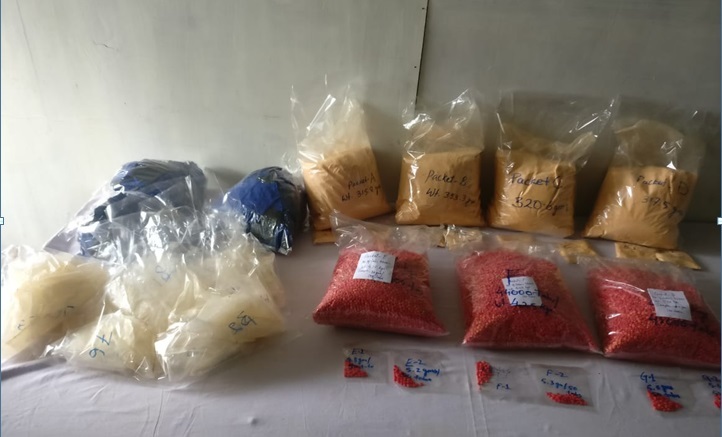 Sleuths of the Directorate of Revenue Intelligence (DRI) in two separate operations on Friday sized a huge cache of narcotics in Manipur and Tripura. 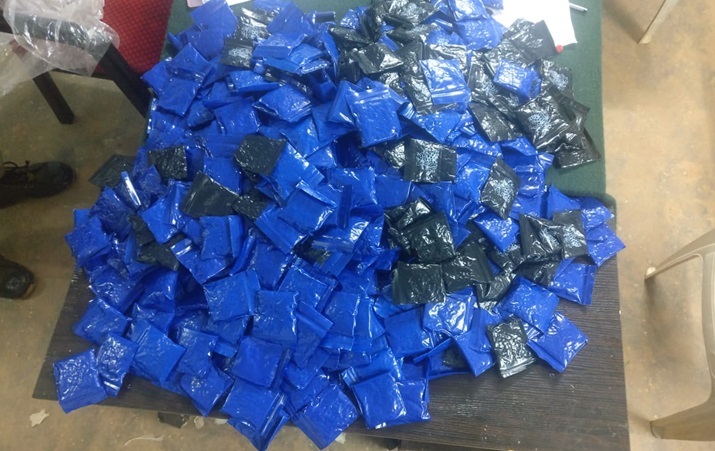 The DRI sleuths in a joint operation with Assam Rifles at L Youjang village in New Moreh of Manipur seized 1.29kg Brown Sugar powder and 1, 30,000 tablets of Methamphetamine. According to DRI officials, the contraband drugs were found stored at a house at L Youjang village. “The drugs were smuggled into India through the India-Myanmar border. The market value of the brown sugar is estimated to be around Rs 1.29 crore while that of the tablets of Methamphetamine is Rs. 3.9 crore taking the total value of seizure to around Rs. 5.19 crore,” said an official. In a separate incident, acting on a tip off, the officials of DRI along with Tripura Police and CRPF in a joint operation seized 78 plastic drums containing ganja from Ghati Ghar of Kamalnagar in Sepahijala district of Tripura. DRI officials said the drums were concealed and buried under the soil and were dug out in an operation that went on through the night. The total weight of the ganja is 2330 kgs and having a market value of around Rs. 1.28 crore, added an official. Less than a fortnight ago, on August 2, in a similar operation, DRI sleuths along with Tripura Police and BSF recovered 3390 kgs ganja valued at Rs.1.86 Crore from 85 plastic drums concealed under the soil at Sonamura. DRI is the lead agency to combat cross border crime involving smuggling of gold, consumer goods, drugs and narcotics, wild life articles, fake currency notes and counterfeit goods, import-export frauds and trade based money laundering. The north-eastern region having boundaries with Burma, Bangladesh, Nepal, Bhutan and China is particularly sensitive from the perspective of smuggling activities and cross border crime, said the official.